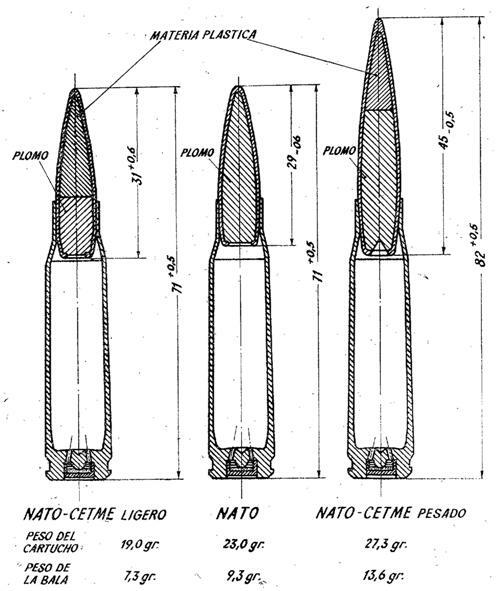 The US insistence on a full-power rifle cartridge for the NATO standard in the 1950s derailed a couple potentially very interesting concepts – including the 7.92x41mm CETME cartridge. This round was developed by Dr. Gunther Voss, formerly of Mauser, while working with other ex-Mauser employees like Ludwig Vorgrimler for the Spanish CETME concern. They were tasked with creating a rifle which could be fired effectively from the shoulder in fully automatic and also be capable of accurate fire out to 1000 meters. This seemingly paradoxical concept was cracked by Voss, who designed a bullet which was both light weight to minimize recoil and also had an excellent ballistic coefficient for to retain velocity at long range and – most importantly – also had enough rotational inertia to remain stable at long range. He did this by making an aluminum bullet with a copper racket only around the center portion. The jacket’s primary role was to add mass at the maximum diameter of the bullet to provide more rotational inertia for the round. 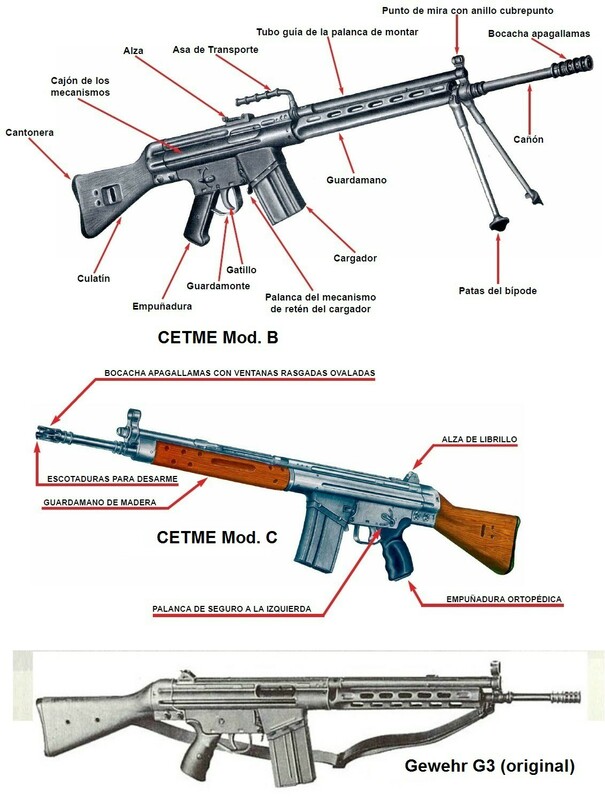 This bullet and the rifle built around it (the CETME Modelo 2) did quite well in both Spanish and American testing, as were well on the way to full Spanish adoption when the NATO trials became known. Spain opted to use the new international standard cartridge, but the CETME rifle was not built to withstand the much greater recoil of the 7.62x51mm NATO cartridge. Ultimately the rifle res redesigned for handle the NATO cartridge, becoming the CETME Modelo C, but one interim solution was the development of a 7.62x51mm CETME cartridge which was dimensionally identical to the NATO round but used a much lighter 112gr bullet. This round has become the basis for a number of myths about both CETME rifles and the FR-7 and FR-8 bolt action conversions made around the same time. Note: I recognize that my statement about the FR-7 being designed for 7.62 NATO ammunition will be controversial, but that is the best reading of historical fact I can come to. As with any surplus rifle, any FR-7 should be inspected by a qualified gunsmith before being fired. You say that the CETME Aluminium cored centre copper jacket was there to provide rotational energy and to better grip the rifling, which is probably correct. There is an additional reason for doing so which is far and away more important than both of these. Any Aluminium projectile will develop within seconds of manufacture a coating of Aluminium Oxide. If it were not for this all pervasive coating, the whole bullet would catch fire and turn to oxide in seconds. Aluminium oxide is a very hard abrasive substance, and there is not a gun barrel in existence that could tolerate it. You could make a barrel of solid Stellite and it would be shot out in less than a 100 rounds. So the Copper band (probably Guilding metal) is there primarily to keep the Aluminium core away from the barrel. Isnt the coating microscopically thin ? …bullet had a wooden core with a thin steel jacket and a base plug of aluminum, and weighed only 55 grains. The cartridge was a straight, rimless design with a charge of 10.4 grains of powder. The cartridge produced a velocity of 1625 feet per second with the 55 grain bullet. The 11.35mm DRS Schouboe was known as the Model 1907.
although that was mating big diameter with blow-back operation. If I am not mistaken during Second World War, aluminium was in high-demand. I am not sure if it was also in 1950s, but if yes, this would place aluminium-cored bullet at disadvantage against plumbum-cored. Single bullet might take only bit of aluminium but cartridges for general usage are produced in millions at least. And yet another good idea gone wrong in terms of logistics. Getting weapons for 7.62×51 is still better than standardizing all for .30-06, but why was the US Army Ordnance department obsessed with “Magnum force crafting?” It’s not like the other team shows up wearing heavy multiple layer body armor and all armed with sub-machine guns (short range weapon combined with human wave attacks and armor supposedly immune to intermediate caliber ammunition). I hope I messed up this assumption. 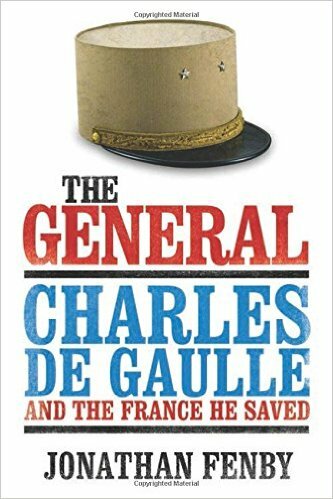 Maybe the US Army was stuck in a false dialectic of either small cartridge (30 carbine) or large cartridge (30 caliber). 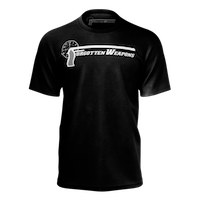 Since there were some stories about the 30 caliber not always having good terminal ballistics, stick with what is known to work, i.e., 30 caliber. The US Army may have been willing to go to the 7.62 only because with new powder it could match the old 30 caliber loading. The M1 Carbine was a handy gun, and certainly better than the pistol it was meant to replace, but I wonder if learning the wrong lessons from it put US cartridge design 10-20 years behind. After the 1930s and 40s episode of the twentieth century’s war was over, there was massive over capacity for mining, smelting and shaping aluminium. I consider this lecture one of most revealing in existence of FW. Ian’s explanation is clear and easy to understand, except of the last third when he gets little entangled in sidelines (I understand the background info is substantial). One of magnificent and most intriguing parts of small arms development. Thanks! The 7.92×41 CETME seems remarkably similar in some respects to artillery projectiles: Many of which have a softer (copper) “driving band” to engage the rifling in the gun tube. In the case of artillery projectiles (and perhaps in the 7.92×41 as well?) the driving band allows the designers to choose exactly where the projectile engages the rifling without regard to the rest of the projectiles shape, so they can better control the mass distribution in the projectile and have the “fattest part” be wherever they want more less. The idea of having more mass around the circumference as in the 7.92×41 is, I think, pretty brilliant and I wonder if this has been tried in the very small projectiles such as used in the 5.56×45 NATO and the Russian 5.45×39 to get a longer bullet but without increasing weight as much? FABRL 5.56mm rounds. Google will turn up the original document. Indeed big achievement in terms of distance, but in real usability not necessarily. As say link which you provided it contained small amount of HE filler for that caliber, also I am not sure how it fared against classic (Brandt) mortar projectile in terms of fragmentation lethality. But this mortar projectile used a discarding sabot wrapped around the bottom. The long length is clearly analogous to the reasons why the 7.92x41mm CETME round was so long, but the ‘widened’ part was surely not? There was no rifling for a start; so no need for engagement or flywheel effect. That CETME bullet concept would be very applicable to the .300 BLK cartridge, which can accommodate very long bullets. And as an added benefit, it could also satisfy the desire for so-called “green” ammunition. What that is? In RKKA green marked were tracer bullet in that place it make no sense. ‘Green’ meaning in this case ‘environmentally-friendly’; in terms of ammunition this typically refers to lead-free projectiles. I would love to see a more detailed follow up story on the Japanese Type 64 rifle, which to the best of my knowledge actually served with a Japanese reduced power loading of the 7.62mm NATO cartridge. Is that an MAS36 with an alumin(i)um folding stock on the wall? Yes, yes it is. The CR39 Alpine/Paratroop rifle! Gotta say that Hotchkiss all folded up collapsed behind Ian just never gets old! Excelent!! !… years after year, excelent reviews and histories!! While the German ex-Mauser future-HK engineers were amply familiar with 7,92x57mm and 7,92x33mm kurz patrone ammunition, it is also the case that the A Coruña Mauser rifles were also 8mm Mausers after Spain had gone from 7.65mm almost immediately to 7x57mm, and then sticking with that cartridge throughout the Civil War into the 1940s. So there was further affinity between Franco’s Spanish State and the Germans. A very interesting design. I learned a lot from the video! Before the civil war Spain used the 7mm Mauser (adopted in 1892) but in 1943 it was decided to change to the 7.92mm by several reasons, the first was that during civil war many 7.92mm weapons were imported (many were very good and modern weapons), in second place because the 7.92 had technical advantages, specially for use in machine-guns, and finally, I think, because Germany was the only source of modern small arms, in fact new machine-guns (ZB-26 and ZB-53) were acquired from Germany. and the government of the country imported German manufactured goods, at a similar premium above world market prices? Because of American insistence in maintaining the. 30 (7.62 mm) calibers, the CETME Model A in 7.92×40 mm was redesigned for the similar 7.62×40 mm, but as the 7.62 NATO was finally imposed to the western allies, the Spanish army decided to adopt a new cartridge, the 7.62×51 mm CETME-NATO (CSP-003), that used the same case with a lighter (7.3 gm) and longer bullet (it had a plastic filling in the tip) and a reduced charge (760 m/s) to maintain part of the Voss design advantages. The first guns for this cartridge were designated CETME model A2 and tested with the very good results in the Ifni (Morocco) colonial conflict in 1958. Finally an improved version was adopted in 1958 as CETME model B. Though the rifle was a very good compromise it can’t use standard 7.62 NATO ammunition (rifles can fire it but suffered and broke). Although Spain then was not a NATO member, was a close ally of the U.S.A., which had several military bases in Spain. So in 1964 it was decided to adopt standard 7.62 NATO cartridge, and a new CETME which fired it appeared, the model C. Many model B were also converted to accept standard 7.62 NATO. Relating to Mauser conversions, many Models 1916 and 1943 were converted to fire 7.62×51 mm CETME-NATO (CSP-003), but the FR-8 (and FR-7 I think), which were destined to arm the reserves, were converted after 1964 so they used the then standard ammunition (ordinary 7.62 NATO). In fact they used CETME C barrel and sights and. 7.62×51 mm CETME-NATO, ordinary NATO and experimental heavy 7.62×51 mm CETME-NATO for MG.
CETME model B or 1958, model C or 1964 and G-3. In 1953 the CETME rifle was demonstated to Bundesgrenzschutz (BGS – at that time, when Bundeswehr didn’t exist yet, it was the only paramilitary force in West Germany) at attracted their interest. However, BGS required a rifle in 7.62mm calibre. So the Spanish (i.d Dr Ing Gunther Voss) made a cartridge to meet such a requirement. It combined a standard case from 7.92×40 CETME with a bullet quite similar to that of 7.92×33 Kurz. Its designation was 7.62×40 “Policía” CH-002 (“Policía” stood for Policía de Fronteras Alemana as BGS was referred to in Spanish). When the cartridge was ready it turned out that what BGS had had in mind, had been 7.62×51 NATO cartidge, so the 7.62×40 “Policía” CH-002 was discarded. What remains unclear is its muzzle velocity (and intial energy). The cartidge in question is first from the right. Along with 7.62×51 CETME Ligero(CETME NATO) that was actually adopted by the Spanish army – designated CSP-003 (CSP stood for Cobre-Sintético-Plomo or Copper-Synthetic-Lead) Liger (Light) there was 7.62×51 CETME Pesado (Heavy) designated CSP-004. While CSP-003 was adopted and used in the CETME Modelo B rifles (it was used in combat in Sahara in the late 1950s/early 1960s) CSP-004 remained an experimental cartridge. There was a variant of the Alfa machine gun adapted to take it and if I am not mistaken its use for the CETME Light Machine Gun was contemplated (Fusil Ametralladora CETME, a belt-fed machine gun based on the CETME rifle, a predecessor of HK-13/23 LMGs). You may see a drawing of CSP-003 and CSP-004, which come from Gunther Voss’s article from the Ejercito magazine, in the post of Carlos Villarroel. Any idea on the barrel twist for this rifle, with the 7.92×40 or 41 cartridge?